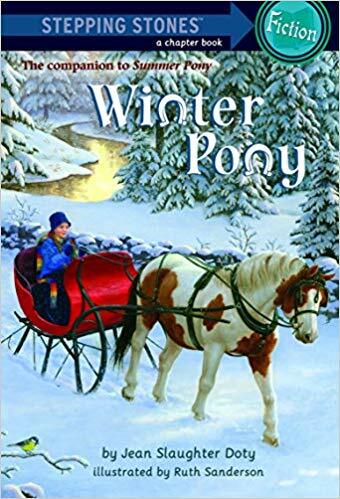 GINNY FINALLY HAS the pony she has always dreamed of, and now she and Mokey are looking forward to a winter full of new adventures. Together, they explore the snow-filled woods and even learn to drive a sleigh. As usual, Mokey has plenty of surprises in store, including one that Ginny can’t believe: Mokey is expecting a foal! This classic Jean Slaughter Doty tale—now with all-new illustrations by Ruth Sanderson—is back in print after more than 20 years for yet another generation of riders to enjoy.